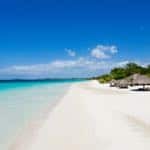 Each of these sensational Caribbean family resorts sits on a dazzling stretch of powder-sand beach with unlimited water sports and accommodation that includes spacious family suites. A couple even have waterparks, complete with lazy river rides and surf simulators. But it’s the imaginative, action-packed Kids Camps that will prove the biggest hit. When it comes to family holidays, no other resort company offers more than Beaches Luxury Included® Family Resorts. 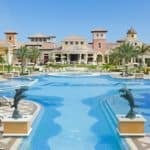 With three spectacular beachfront locations in Jamaica and Turks & Caicos and a wide range of one-to four-bedroom family suites, Beaches Resorts are the ultimate family getaway and the most comprehensive year-round holiday available in the Caribbean for families, couples, singles and friends. Children love our Kids Camps, which cater for kids of all ages, from tots to teens. Only at Beaches Resorts can children of all ages meet, play and enjoy every day with the lovable and friendly cast of characters from Sesame Street®. Kids can go bird watching with Big Bird, bake with Cookie Monster or wind down with Elmo at story time. Teens can do their own thing at the XBOX 360® Play Lounge, Scratch DJ Academy®, TrenchTown Arcade Lounge, Club Liquid nightclub, and more. 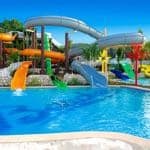 Unique to Beaches Resorts are the exhilarating Pirate’s Island Waterparks featuring multi-storey slides, lazy rivers and the Caribbean’s first surf simulator. For adults, Beaches offer up to 20 gourmet restaurants in each resort – from authentic Caribbean cuisine to Teppanyaki – as well as up to 15 bars, each serving unlimited premium branded drinks and Robert Mondavi® wines. For sports enthusiasts, Beaches offer unlimited water sports including scuba diving (free for certified divers) and land sports. Alternatively, why not relax at our luxurious Red Lane® Spa or spend the day on one of the world’s best white-sand beaches? Choose from Beaches Negril or Beaches Ocho Rios in Jamaica or the world-famous Beaches Turks & Caicos. The newest village at Beaches Turks & Caicos is the five-star Key West Luxury Village. 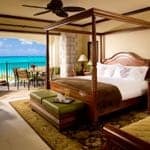 Featuring magnificent luxury suites and villas, the resort’s fourth village combines the charm of Old Key West with the magnificent setting of Grace Bay Beach. Discover 20 speciality restaurants including the casual Barefoot on the Beach, the rooftop Sky Lounge serving Italian cuisine and local fresh seafood and our signature beachfront restaurant, Bayside. Wherever you choose, Beaches Resorts cater for the young to the young-at-heart, making it the perfect choice for all the family. Click here for more about Beaches Resorts and the latest Beaches offers.